We treat everything from sports-related injuries, to chronic degenerative disease. 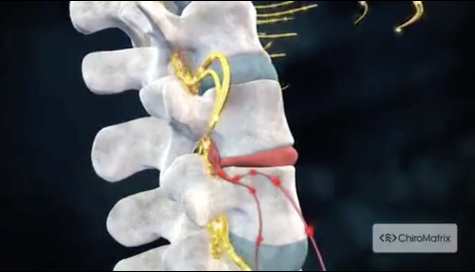 Ask if spinal decompression therapy could be the right treatment for you. Call us at (770) 754-0037 today. Our philosophy is that the body is self healing and that improved lifestyle habits such as chiropractic care, proper nutrition, appropriate exercise, and mental wellness will allow anyone to improve their overall health and performance. We take the time to individualize our treatment to the specific needs of each patient and do so in a warm and friendly environment. We have helped thousands of people recover and maintain their health in a more natural way. Whether it be from minor aches and pains of everyday life, debilitating disease processes, or recovering from sports injuries, our doctors will explain your condition to you and how we can help. Our goal is to empower you with knowledge and understanding of how your body works and how it can be improved at any age. We not only treat the pain or symptom, but the entire person. We know that pain and symptoms are merely the result of dysfunction and that it is far wiser to treat the cause of the dysfunction rather than its affects. We are here to help you have the greatest quality life that you desire! We look forward to meeting you in person and discussing your specific health care needs. Give our Johns Creek chiropractic office a call at (770) 754-0037, or email us using the link below. We truly hope that you will enjoy your experience at our office. Spend some time on our website and learn more about Dr. Richards and his unique approach to help you reach your peak potential with chiropractic and advanced non-surgical spinal decompression. "New owner new management and clearly Levinson Chiropractic taught them well these people are fantastic I would recommend them to anyone I have not walked in there and never walked out feeling the same or Worse... what an absolute blessing you have been to my life"
"Dr. Bryna is an intelligent, passionate, and intuitive chiropractor. She has a vast understanding of the human body and how to allow it to work properly. If you're in Georgia, Dr. Bryna is a must!!" "My spine has never felt better! Some of the best adjustments I've ever had. Great atmosphere. Dr. Gavin and his staff are always professional and welcoming." "I started coming here after I moved to Georgia 2 years ago. I couldn't possibly say enough about how wonderful the whole team is!"